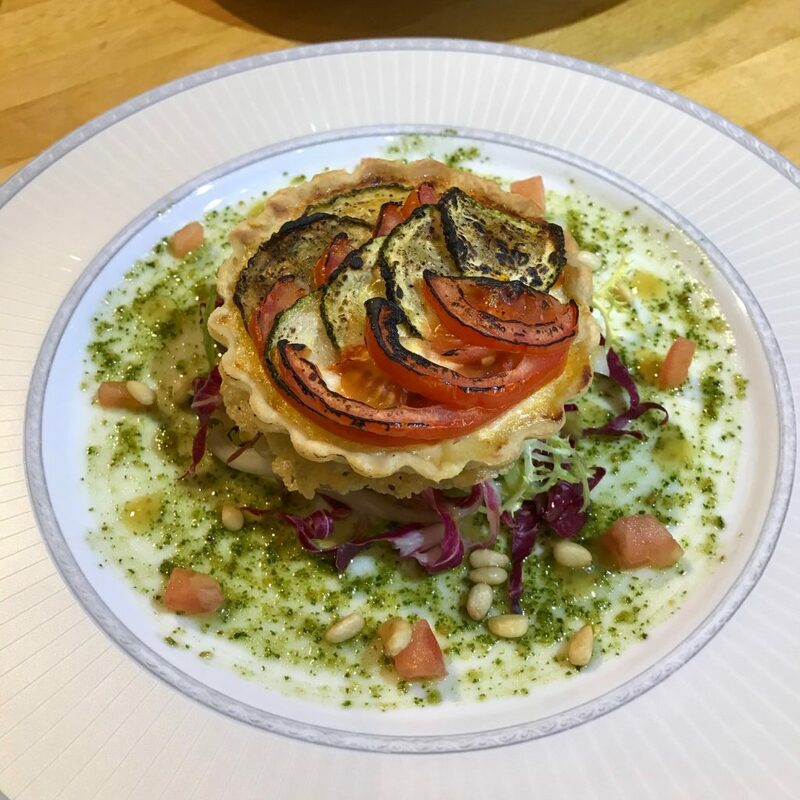 Crispy pastry base with caramelised Onions and Peppers, set with basic tart mixture, and topped with pan-fried Courgettes and sliced Tomatoes. Served with Leaves, Pesto, Pesto Mayonnaise, Tomato Concasse, toasted Pine Nuts and Parmesan crisp. Sautéed Chicken, finished in the oven, with a rich White Wine, Shallot, Garlic and Tomato sauce finished with Tarragon, served with Rice, Asparagus, Pea Puree, French fried Egg and heart shaped Croûton. Steam Sponge Pudding with Golden Syrup and lots and lots of hot, sweet, thick Vanilla Custard.